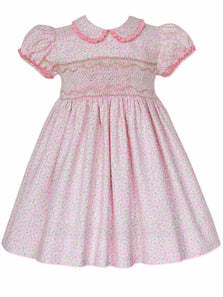 Carmen is a beautiful formal ivory silk girls dress, it has been hand smocked across the chest with hand embroidered pink roses and center beads to add detail. 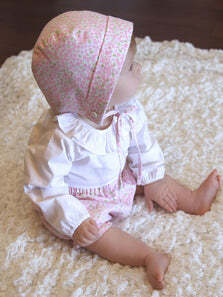 The Peter Pan collar add elegance to this ensemble as well as the puffy short sleeves. 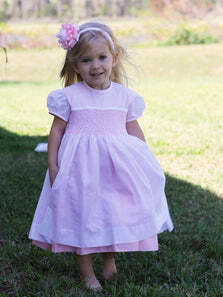 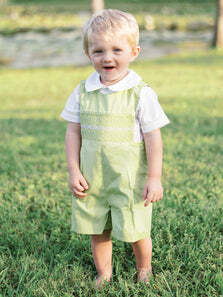 It will be a flawless option for a flower girls dress in a wedding, or a special ceremony, or a pageant. 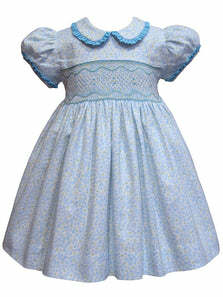 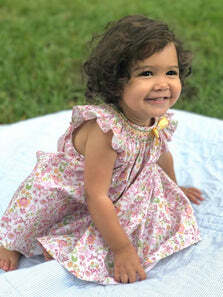 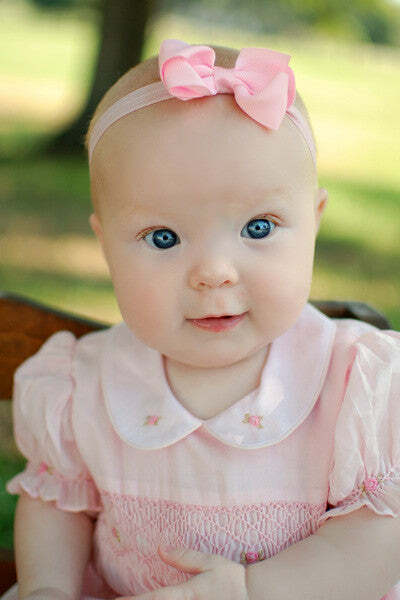 The dress is fully lined and the workmanship is outstanding, your baby is going to feel in fairyland in her new dress!